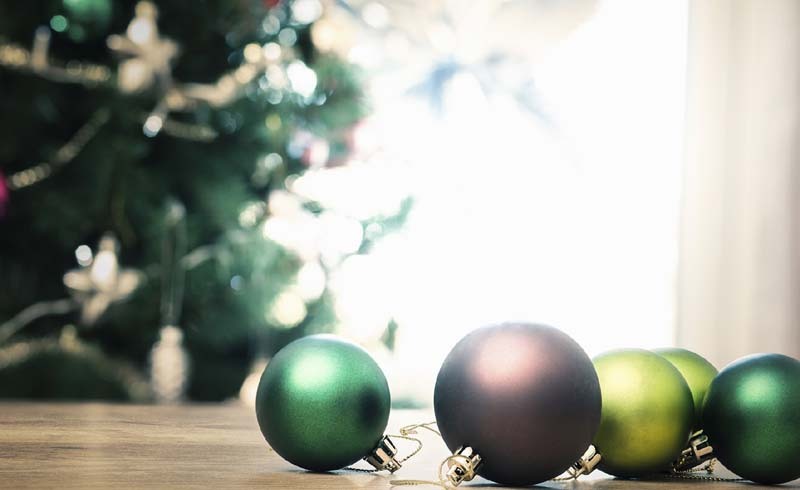 Bigger ornaments mean happier holidays. 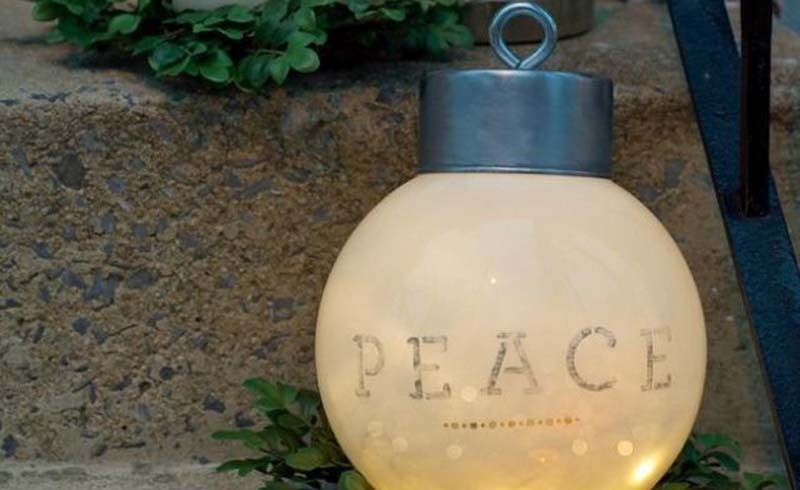 What do light globes, used tuna cans, and eye hooks have in common? Together, you can use them to craft a supersize Christmas ornament that will make your front porch really stand out this season. 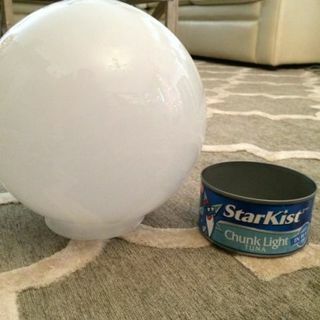 To start off, get yourself a light globe and a used tuna can. 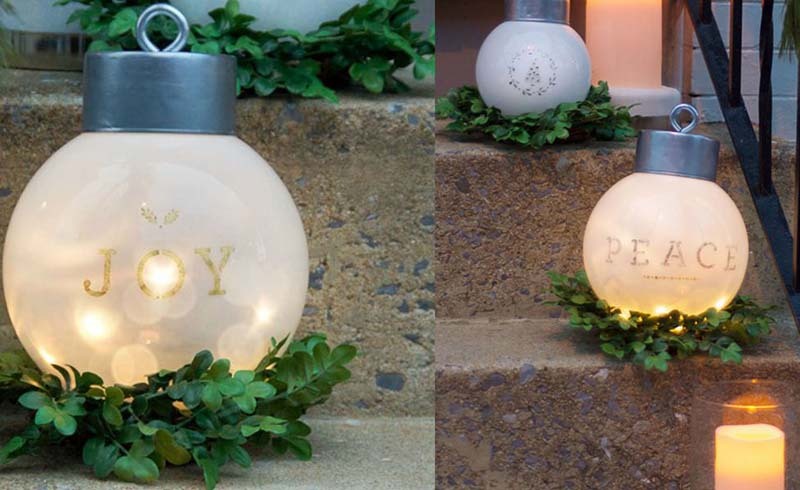 From there, get those creative juices flowing, and decorate the globe with stencils and paint. When you're done, put battery-powered lights inside, and you've got your very own oversized ornament! See more at Home Stories A to Z, and check out more of our favorite Christmas crafts.